Ride down New Jersey highways and byways behind the wheel of the 2018 Chevrolet Traverse. The new Traverse provides you with state-of-the-art driver-assistive features to ensure that you and your loved ones are well protected at every turn. Plus, you benefit from top-notch performance perks and cutting-edge convenience options. 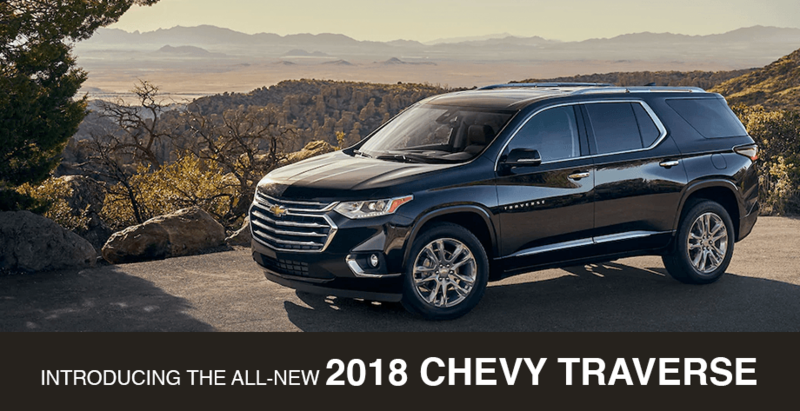 Buy or lease a 2018 Chevy Traverse at our Chevrolet dealership near Budd Lake, NJ, today and enjoy every journey! If you're interested in buying or leasing a 2018 Chevrolet Traverse, come to Rossi Chevrolet Buick GMC and speak with the Chevy finance and sales teams about your options!